The Glass Beach Inn, located on Fort Bragg's main street three blocks from Glass Beach, is a beautifully renovated home. Your gracious innkeepers are Rich and Nancy Fowler who have been welcoming guests from around the world to their inn for 27 years. 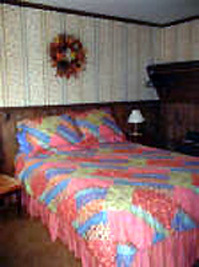 You will feel welcome in one of the 6 elegant rooms in the main house or 3 in the cottage unit behind the Inn (rates/2 from $109 - $175). 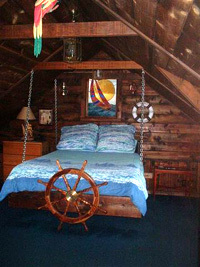 Rooms are romantic, cheerful and sunny and some have fireplaces. The rooms are Malaysian, Oriental Jade, Victorian Rose, Country Comfort, Schooner Mendocino, Grandma's Attic, Forget Me Not, Wildflower and Cottage In Rose. Amenities include in-room color cable television, VCR/DVD and board games. 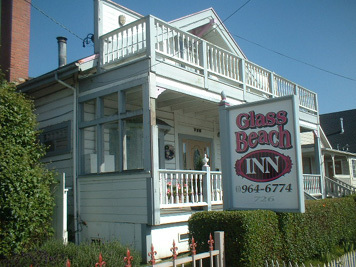 Ask about a variety of special Glass Beach Inn rates and vacation packages. The following morning a full breakfast is served. Your innkeepers state, "Our breakfasts are scrumptious offerings of eggs, bacon, potatoes - there's a toaster on every table - juices and fruits. Don't be surprised if we whip up Belgium Waffles with fresh strawberries!." You can enjoy our cozy sitting room with your loved one or just relax with some new friends. You'll want to explore the many restaurants in Fort Bragg for lunch and dinner choices as well as the many fine art galleries, giftshops and outdoor activities ranging from open ocean fishing or whale watching to river kayaking or a stroll along historic streets. 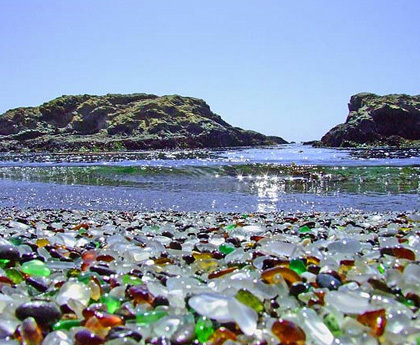 Visiting the inn's namesake - Glass Beach - will reveal ocean beveled pieces of red, blue and green glass, the ever changing ocean and spectacular sunsets. Children & Pets Welcome. Major Credit Cards.